Si.. alla fine conviene aspettare un paio di giorni prima che tanto come dici te ne arriveranno altre. 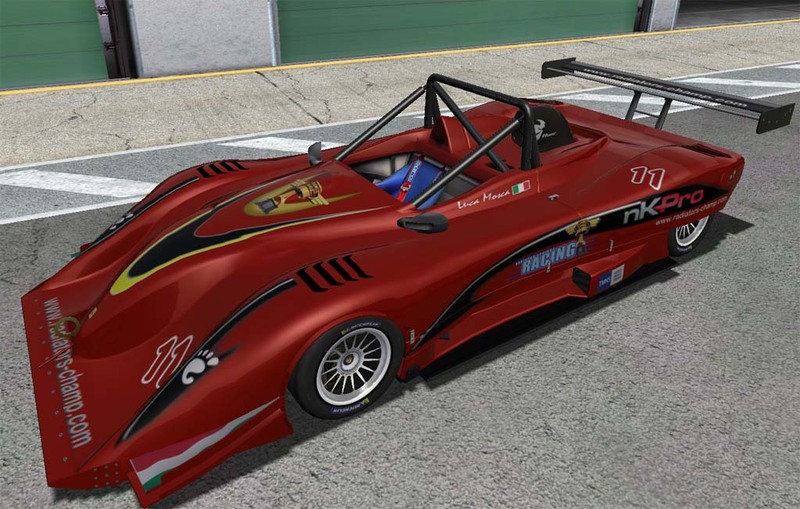 Here is a skin for our reserve driver Martin O'Connor, he will be joining WCR for the Melbourne race as Paul is sick at the moment. this is the folder for a new skins of Luca..
Guys, a lot of you are currently running with skins that are not in the skin pack. Please put here a link, so we can add them to the next skinpack. older skins from Gek, Mika and other people are not available on hosting servers. Can you re-upload again? Vyacheslav Potapenko wrote: older skins from Gek, Mika and other people are not available on hosting servers. Can you re-upload again? as requested i have also updated them slightly. We strongly advice drivers to download the latest skinpack and, double check if your skin is available, and if not, publish their skin again. A new skinpack will be created 1 day before the first race. The new skinpack will be a full update and will include all KS2 skins. Is there somewhere a complete skinpack ? If not could someone please create and post somewhere a skin archive for later joined drivers ? Alberto Canzi wrote: Is there somewhere a complete skinpack ? I am uploading a pack of all the skins i have, it will take about 45 mins, I think I have all but might be missing a few. I usually download skins when someone posts them. Isn't there going to be an official skin pack? Yes. We will create one shortly. Andrea Lojelo wrote: Yes. We will create one shortly. Great news and many thanks to Clive for your affability ! i am having problems uploading , so I will leave it to the RSR guys to upload. Please let us know if any of the skins are still missing. You left out mine & Gerard's skins & there's an old readme included that might confuse people.